THE SAID OLD DISPUTES STILL ISSUES IN MANY YEARS AND THERE IS NO REMEDY DISCLOSED OR RESOLVED ON THE ISSUES AND IT IS ELEVATING IN FRICTIONS UP TO THIS TIME. 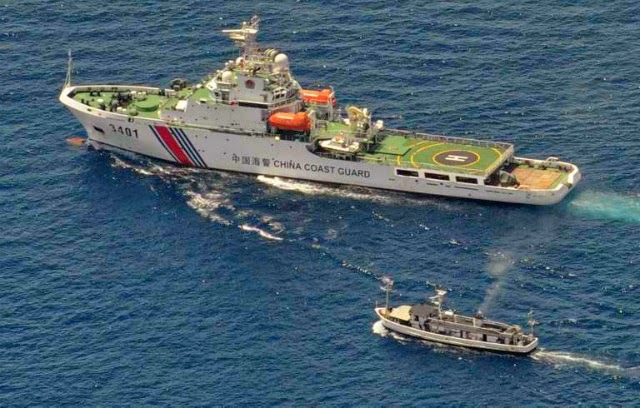 THE CHINA AND PHILIPPINES HAS STAND-OFF AND FRICTIONS THAT IS THREATENING TO THE FILIPINO PEOPLE AND OTHER COUNTRIES AND WORLD WAR FROM THIS ISSUE WHOM THE ALLIED COUNTRIES OF THE PHILIPPINES LIKE U.S. OF AMERICA ARE INTERVENING ON THE ISSUES OF CHINA'S OVER POWERING ACTIONS IN THE DISPUTED ISLAND AGAINST OTHER COUNTRIES CLAIMING ON THE ISLAND. WEALTHY AND POWERFUL COUNTRY AND CAN DEFEND THEIR NATION OR COUNTRY TO US AND OTHER ALLIED COUNTRIES. 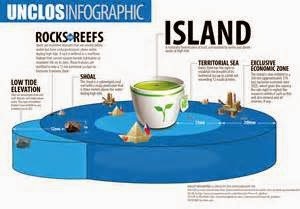 THE DISPUTED ISLAND IS CAUSING BIG TROUBLE WHICH IT IS NOT JUST BETWEEN THE PHILIPPINES AND CHINA AND OTHER CLAIMING COUNTRY WHO ARE IN TENSIONS IN DISPUTES OF THE ISLAND, THE OTHER ALLIED COUNTRY ARE INTERVENING WOULD MIGHT RESULT IN A WAR OR WORLD WAR IF NOT BEING WORST. IT IS VERY OBVIOUS THAT NOW THE UNITED STATES OF AMERICA ARE DEEPING RELATIONS TO THE PHILIPPINES ESTABLISHING MILITARY CAMP AND PORT IN THE PHILIPPINES USING OUR PROPERTY AND INFRA STRUCTURES ETC. ETC. AND IN PALAWAN THEY ARE PUTTING A MILITARY PORT THERE OF THEIR SEA WAR SHIP. 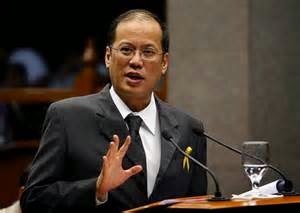 THE UNITED STATES ARE TRYING TO USE THE ISSUES IN THE DISPUTES AGAINST CHINA TO ESTABLISHED MILITARY CAMP OR INSTALLATION IN THE PHILIPPINES TO EASILY FACE CHINA IN CASE OF WAR AND PROTECTIONS. THEY FORGE EDCA AND OBVIOUSLY PUTTING CAMP IN PALAWAN OR IN ANY PART OF THE PHILIPPINES. THE UNITED STATES AND ALLIED ALSO ARE INVESTING IN THE PHILIPPINES AND THEY WOULD LIKE TO GET BUSINESS ON MINERALS IN THE ISLAND. 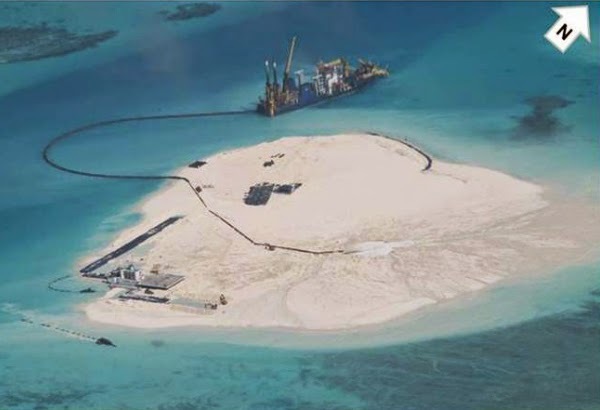 PHILIPPINES AND OTHER COUNTRY AND CHINA WOULD FACE IN INTERNATIONAL COURT IN UNITED NATIONS TO TALK THE ISSUES IN LEGAL AND PEACEFUL MEANS IN CLAIMING THE ISLAND AND LET THE HIGHER TRIBUNAL IN THE WORLD DECIDE TO WHOM COUNTRY WOULD GIVE THE ISLAND UNDER DISPUTES. THERE IS LEGAL AND PEACEFUL REMEDY AND SOLUTIONS TO END THE DISPUTES BETWEEN OTHER COUNTRY. WE HOPE THE PHILIPPINE GOVERNMENT AND THE PEOPLE WOULD SUPPORT THE INTERNATIONAL LEGAL COURT TO SETTLE THE DISPUTES. THE INTERVENTION OF OTHER COUNTRY OR ALLIED COUNTRY IS NOT A MUST WHICH IS LIKE A KID OR CHILD FIGHT BEING NABBED OF CANDY OR LOLLIPOP AND GET THE ALLIED OR "KAKAMPI" TO FIGHT THE NABBERS. OUR ALLIED AND CHINA AND THEIR ALLIED WOULD CONNIVE TO FIGHT US ALSO AND IT IS NOT GOOD. PUT IT IN THE UNITED NATIONS INTERVENTIONS AND TAKE YOUR SEAT THERE WITH THE WORLD AND TALK IN PEACE THE DISPUTES. "IGIIT NG GOBYERNO NG PILIPINAS SA CHINA AT IBANG MGA BANSA NA UMAANGKIN DIN NG PINAGLALABANANG ISLA AY PAGUSAPAN AT MAGKAROON NG PAGLILITIS SA INTERNATIONAL COURT SA UNITED NATIONS UPANG MARESOLBA ITO NG MAPAYAPA AT HINDI NAGKAKAGULO AT MAY TENSION". TANGGAPIN NG MGA BANSA ANG MAPAGUUSAPAN AT MAPAGLILITISAN NG PAREHAS SA UNITED NATIONS AT INTERNATIONAL COURT. SUNDIN NG BAWAT BANSA ANG MGA CLARONG BATAYAN SA HURISDIKSIYON NG MGA TERITORYO NG BANSA O SINASABI NG UNCLOS O ANUPANG BATAS PARA DITO NG MUNDO. KUNG MAY MGA DAPAT PAG LITISAN AT PAGUSAPAN AT IDEVELOP SA UNITED NATIONS HINGGIL SA HURISDIKSIYON AY PAGUSAPAN NG MAAYOS UPANG ITOY SUNDIN DIN NG IBANG BANSA SA USAPIN NG TERITORYO AT HURISDIKSIYON AT HINDI ANG NAGTATAKUTAN NG KAKAYANAN SA PAGGAPI NG ISANG PWERSA PARA MAKUHA ANG INAANGKIN.